Thread: Artist Residency and Cultural Centre, Sinthian, Senegal. 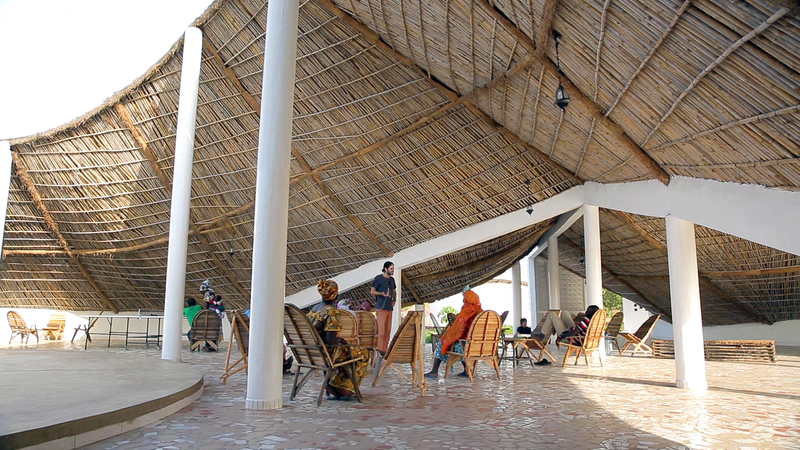 The gathering space is used for cultural and social activities - Thread: Artist Residency and Cultural Centre, Sinthian, Senegal. 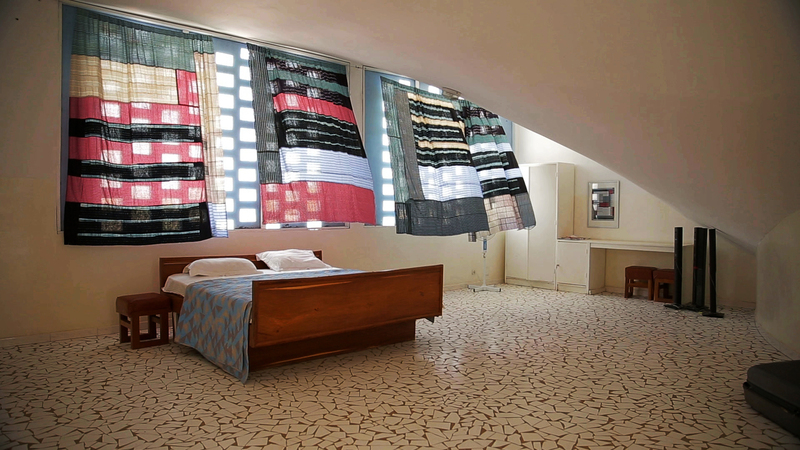 Bedroom of the artist residency - Thread: Artist Residency and Cultural Centre, Sinthian, Senegal. Thread is also a resource for water and agricultural initiatives - Thread: Artist Residency and Cultural Centre, Sinthian, Senegal. 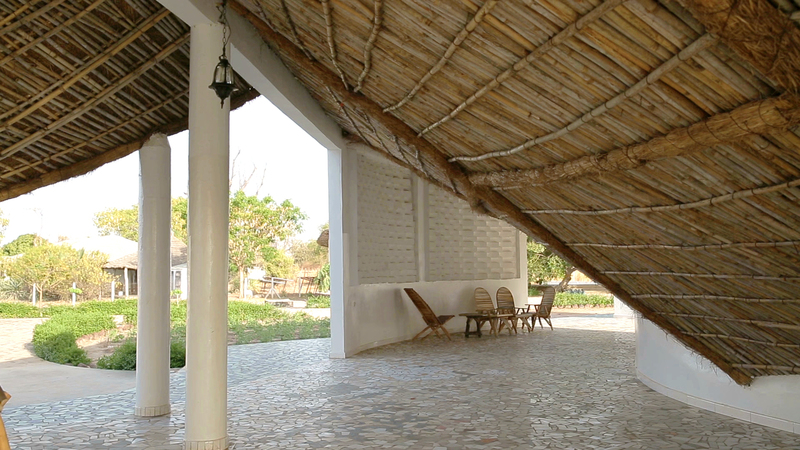 Central gathering space - Thread: Artist Residency and Cultural Centre, Sinthian, Senegal. An ecologically sensitive meeting place demonstrates how art and architecture can be part of rural life. Thread is a socio-cultural centre that houses two artists’ dwellings and studio space for local and international artists. Nicolas Weber, of the Josef and Anni Albers Foundation, had been supporting the efforts of a Senegalese doctor, Magueye Ba, in running a medical centre and elementary school programme serving an isolated network of rural villages in the Tambacounda region. 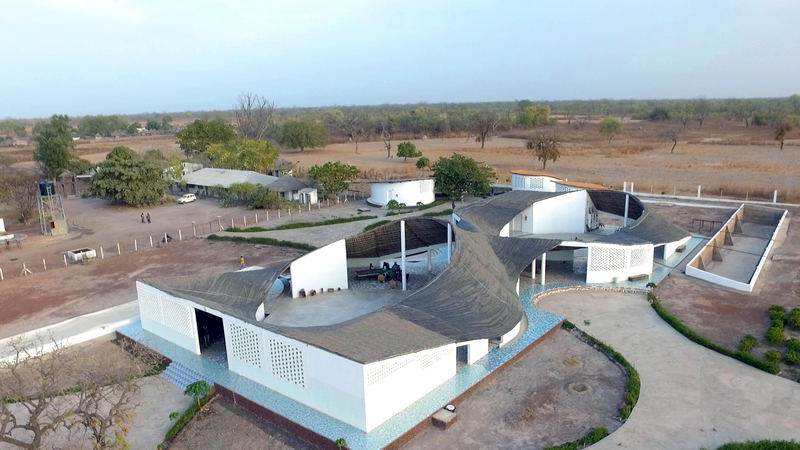 When Ba and Weber wanted to add elements of cultural exchange and support for the arts to the work in Tambacounda, the project of creating an artist residency and cultural centre formally began under the pro-bono stewardship of Toshiko Mori, who had previously held workshops in the area. 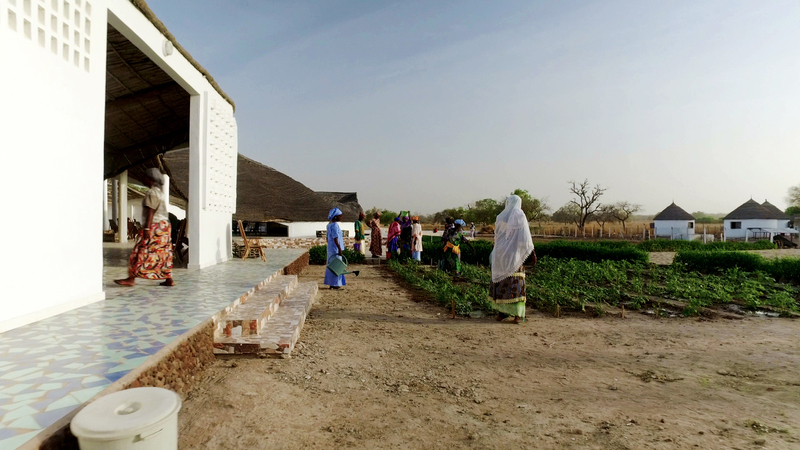 It is a hub for Sinthian and surrounding villages, providing agricultural training on the area’s fertile land and a meeting place for social organisation which is, in rural Senegal, the crucial mechanism for sustainable development. A parametric transformation of the traditional pitched roof achieved through a process of inversion collects rainwater, creating a viable source for new agricultural projects during the eight-month dry season. Thread exists at a crossroads between (inter)national artist residency, agricultural hub, community farm, water source, exhibition and performance venue, cultural centre, local library, children’s play gym and village cell phone charger. The success of its atypical plurality proves why art and architecture should be the right of all people.